Motorcycle performance is more than just horsepower. Greater comfort and control make your cycle a better performing machine. Motorcycle performance is more than just horsepower. Greater comfort and control make your cycle a better performing machine. We are the source for performance racing components and street accessories for all makes and model motorcycles. We are proud to offer the best aftermarket engine, suspension and drivetrain upgrade products available. Whether you’re a racer or just want more out of your street motorcycle Bikes Built Better can help. 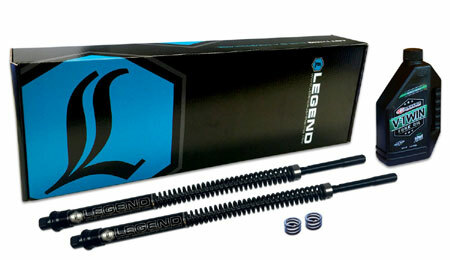 Legend Suspension's AXEO fork kits for the rider who wants their bagger to be the best it can be. 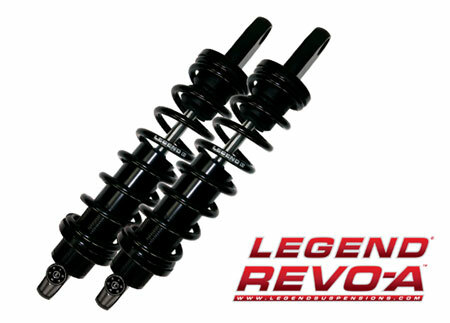 Legend Suspension's REVO-A Premium shock absorbers are available for most Harley models, from Sportsters to Baggers. Featured in the above video Progressive Suspension Monotube Fork Cartridge Kits convert damper-style forks to true Cartridge forks with a minimum of fuss. High performance specialty components replace the sloppy open bath damping found OEM forks. The kit features a set of gas charged Monotube dampers (similar to a high end shock) and a set of custom tuned fork springs. 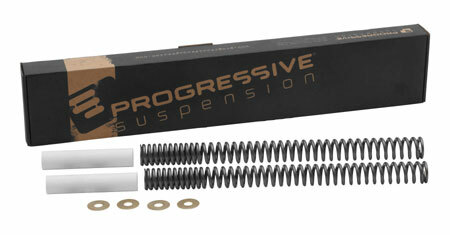 Progressive Suspension fork springs can greatly inprove your ride quality without breaking your wallet. Motorcycle performance is more than just horsepower. Greater comfort and control make your cycle a better performing machine. We are proud to offer the best aftermarket engine, suspension and drivetrain upgrade products available.